"Comprehensive federal privacy legislation should not only aim to put consumers in control of their data, it should also shine a light on actors trafficking in your data behind the scenes … That’s why we believe the Federal Trade Commission should establish a data-broker clearinghouse, requiring all data brokers to register, enabling consumers to track the transactions that have bundled and sold their data from place to place, and giving users the power to delete their data on demand, freely, easily and online, once and for all," Cook wrote in his op-ed for the Time Magazine. He called on the public to stand up for the right to privacy in 2019 and proposed for principles for the future legislation regulating the issue. "First, the right to have personal data minimized. Companies should challenge themselves to strip identifying information from customer data or avoid collecting it in the first place. Second, the right to knowledge — to know what data is being collected and why. Third, the right to access. Companies should make it easy for you to access, correct and delete your personal data. 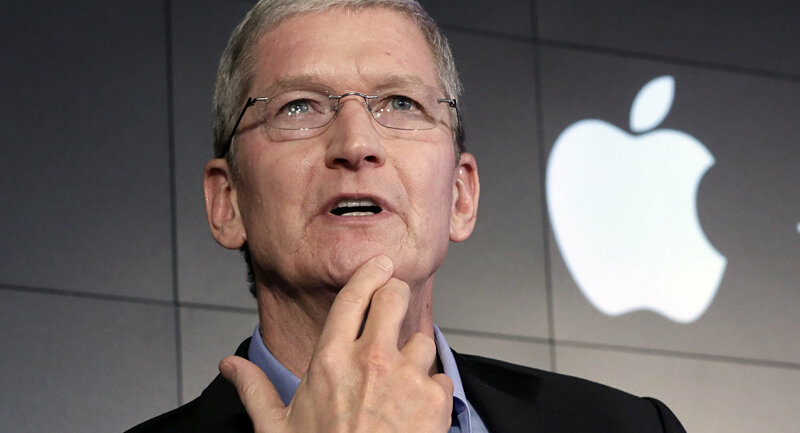 And fourth, the right to data security, without which trust is impossible," Cook said. At the end of his article, Cook added that technologies could potentially change the world for the better but this could be achieved only if customers confide in them. This comes after late last year, a regional court in Munich ruled that tech giant had violated a patent issued to US chipmaker Qualcomm and would have to stop selling some iPhone models in Germany. At present, Apple is the fourth most valuable company in the world, superseded by Microsoft, Amazon and Google, according to The National.